Since 1983, Lydia’s Flowers has been serving the Oakland community and supporting local arts and education. 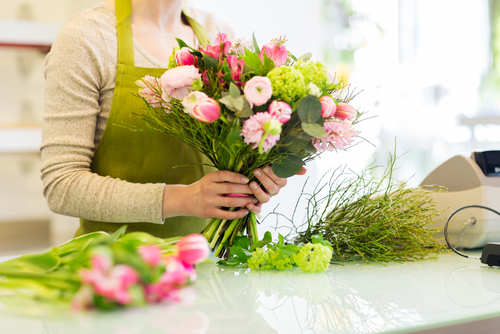 We are full service florists offering convenient delivery and online or over-the-phone ordering. Give us a call at (510) 832-6563 or toll free at 800-338-6563 for more information. When you choose to say something with flowers, you’re using a language nearly as old as time, and when you send flowers in Oakland, CA via Lydia’s Flowers, you’re using a delivery method that has all the conveniences of the modern day. For over 30 years now, Lydia’s Flowers has been providing the East Bay with a wide selection of floral arrangements as well as easy, comprehensive flower delivery services in Oakland, CA. No matter what the occasion may be, our daily updated inventory of roses, seasonal, tropical, and other stunning flowers will make it easy for you to pick the perfect arrangement. If you need help or are overwhelmed by all the choices, just give us a quick call and chat with one of our friendly and experienced florists. We are a proud locally owned and operated business in Oakland, CA. We have been a part of the Oakland Chamber of Commerce since 1988. We offer convenient online ordering and same day delivery options. We have a broad selection of floral arrangements to fit any occasion. Our prices are competitive with other florists in the area. 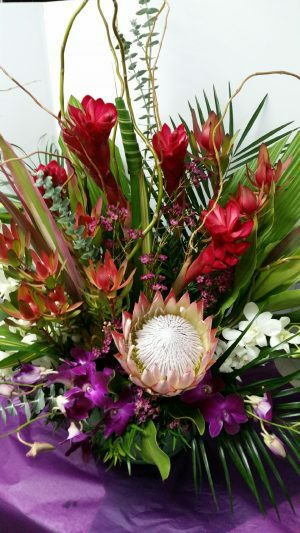 "Thank you for sending such a lovely arrangement to Katherine! She was so pleased. I greatly appreciate it, Lydia! " 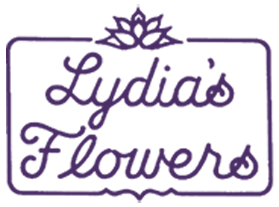 "We contacted Lydia's Flowers twice by phone, both times we were ordering floral arrangements for funerals (sob). Both times, Lydia was very ..."
"Lydia has provided flowers for both myself and my workplace for over 30 years. Not once have I been disappointed. Lydia's flowers is my "go ..."
January 25, 2017 Laura S.
"I used Lydia's to send my sister flowers. She works at a hospital and other providers have had trouble delivering to her, but Lydia's was ab..."
January 25, 2017 Noel M.
"I called Lydia looking for something special for a friend in Piedmont. When I first called and told Lydia what I was looking for, she immedi..."